The consumer electronics industry has always represented a huge business sector for companies, but with devices like smartphones and tablet PCs being such big news, around the world it has never seen as a big a growth as it is currently seeing. It seems that a day can’t go by without a new Apple or Samsung product being talked about or speculated on, with the Cupertino and Korea-based companies leading the way when it comes to smartphone and tablet production. With Samsung announcing their Galaxy Note 10.1 tablet at the Mobile World Congress, and Apple taking the stage in less than a week to announce the next generation iPad, what does the future hold beyond these two products? The rumor that Apple are planning to bring a smaller iPad into the market to compete with the Amazon Kindle Fire don’t seem to want to go away, and with OLED-Display.net reporting that they have obtained a document from Samsung’s investment bank which speculates that the iPad ‘Mini’ is indeed going to happen, it would seem that we are going to be reading more about this proposed new product in the coming months. 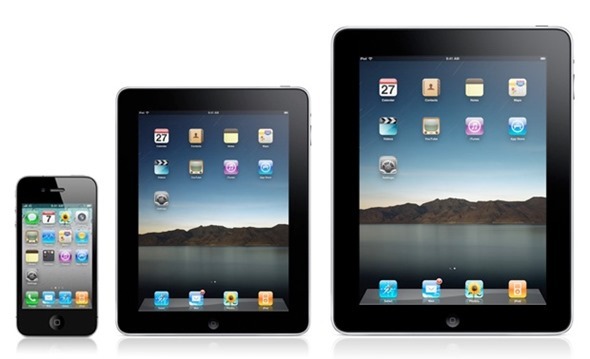 Following the success of the iPad1 and iPad2, which have together achieved sales of 55m units, Apple plans in 1Q12 to launch the iPad3 and in 3Q12 a new 7-inch product temporarily referred to as the iPad Mini. The company is reportedly aiming to sell more than 100m iPads in 2012, and plans to use higher resolution IPS panels in the iPad 3 – Sharp is trying to produce panels for the iPads at its 8G lab, hoping to develop and mass produce IGZO LCD panels for the iPad 3. The report also proceeds to suggest that Apple "may yet decide" to incorporate flexible panels into the its next iPad models, with that decision being largely based upon whether or not Samsung Mobile Display can produce flexible AMOLED displays with an increased resolution. There was some speculation that Tim Cook had met with Samsung executives last year to discuss the possibility of using AMOLED displays for the next-generation iPad, but was said to have passed up the opportunity over quality concerns and production issues. Regardless of what the official line is and what is going on behind the scenes in Cupertino, it seems that this iPad Mini rumor simply won’t go away. With this leaked document emerging and reports that members of Apple’s supply chain are gearing up to begin production of a 7.85 inch tablet in Q3 of 2012, the evidence is mounting that we could soon see a baby iPad. In a small conference in 2010, former Apple CEO was quoted as saying "The reason we won’t make a 7-inch tablet isn’t because we don’t want to hit that price point, it’s because we think the screen is too small to express the software". Whether or not that is the official company view is unknown, but we must remember that we are dealing a post Steve Jobs Apple, and company directions do change.